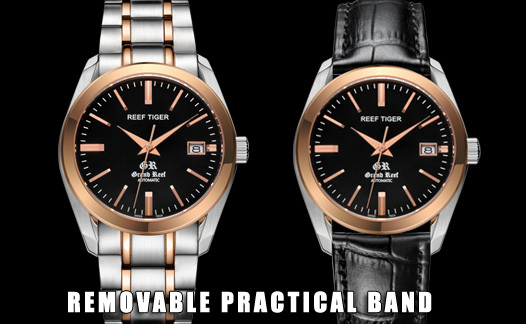 Since its birth, Reef Tiger Classic series has been consistently adhering to the clear and elegant style, based on the goal of “the world’s most outstanding practical watch”, to pursue the highest level of the basic functions of the watch. Grand Reef has always represented the top watchmaking craftsmanship: high accuracy, legibility and durability. The case design of this watch is based on the Reef Tiger classic design in 1912, 41mm size is classic and generous, comfortable, completely showing humanities and elegance. 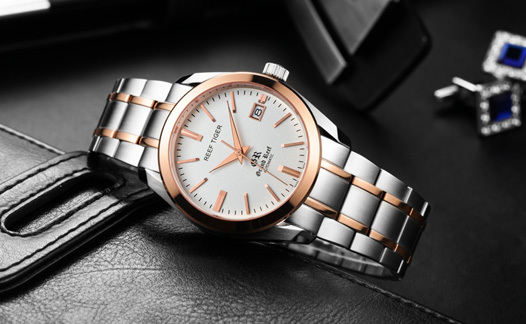 Low-key gorgeous dial echoes with the neat case, the dial is decorated with the fine 4/100mm radial lines, this crafted presentation demonstrates Reef Tiger’s excellence in watchmaking. 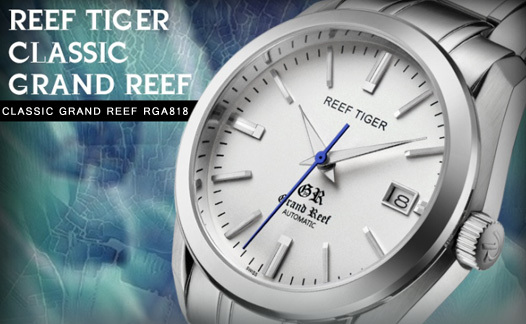 After various tests and assessment of the cutting surface by Reef Tiger designers, the hands and hour markers of Grand Reef adopt the best design. And in the manufacturing process, the cutting surface will be carefully polished, so any angle is legible. The date window frame at 3 is silver rhodium plated, very shiny, which is very harmonious with the whole dial layout, fully reflects the humanistic watchmaking spirit: simple and readable. This watch can be worn for different occasions, there are two kinds of band design, leather strap and steel bracelet, leather strap is elegant and comfortable, steel bracelet is refined.